- It&apos;s the return of the monthly Open Fight Night on Thursday&apos;s broadcast, Where any member of the TNA Wrestler can call out anyone else and they must fight. -"The Cowboy" James Storm revealed his plans for Open Fight Night on Thursday&apos;s broadcast. Storm said he would be calling out Bobby Roode this Thursday to continue their heated rivalry. Roode will have no choice but to answer the challenge. - Also on Thursday&apos;s broadcast, it&apos;s the return of the TNA Gut Check, as one wrestler gets the opportunity of a lifetime to earn a contract with TNA Wrestling! Can they prove they have what it takes to join the roster? - Hulk Hogan has put the Aces and 8s on lockdown. However, last week Aces and 8s sent a message that they may be locked in as well. How will Hogan respond to the threats of Aces and 8s? 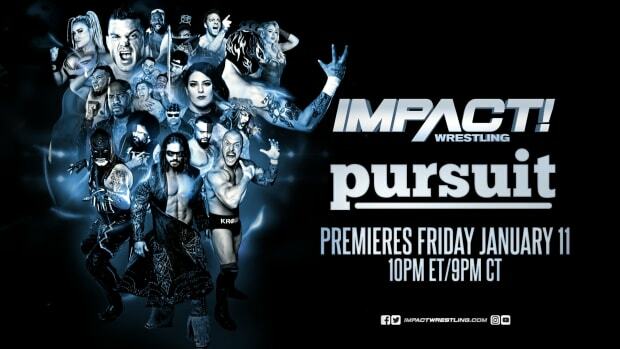 - All this and much more on Thursday&apos;s IMPACT WRESTLING on SpikeTV LIVE at 8/7c, including the latest news of the "Bound For Glory" Pay-Per-View event!